Indenture between several parties regarding mortgage of Grange plantation in Hanover. "National Library of Jamaica: West India Reference Library, Manuscripts Collection"
Indenture involving several parties regarding lease of Grange Estate in Hanover. Indenture between several parties regarding lease of Goshen plantation. 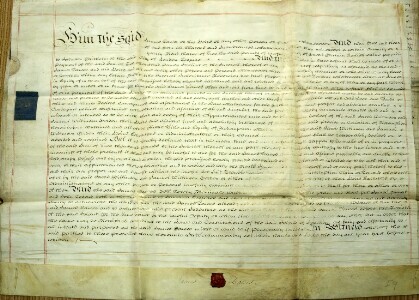 Indenture between T. Fodringham of Scotland et al. And J. Allen of Scotland et al regarding the lease for a yearof Moorpark plantation in St. James involving through marriage the Three Mile River plantation of J. Kerr in Westmoreland.